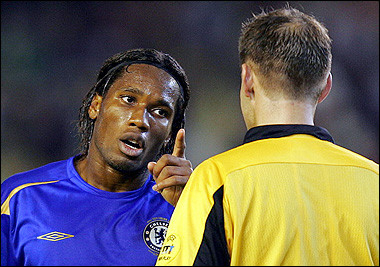 I hate Drogba and everyone from Chelsea. Well, maybe Lampard is OK and Sheva. But Drogba and Mourinho, I can’t stand them. They think there are two sets of rules: one for Chelsea and the other for everyone else. Drogba might be a good finisher and everything but he is so cocky and ruthless. He doesn’t respect anyone including some of his teammates. Sick. The successful people of the society always help the poor people of the society. And in their uk essay writing service early times they work hard for their good and better future. The people of the society should work hard in their work.